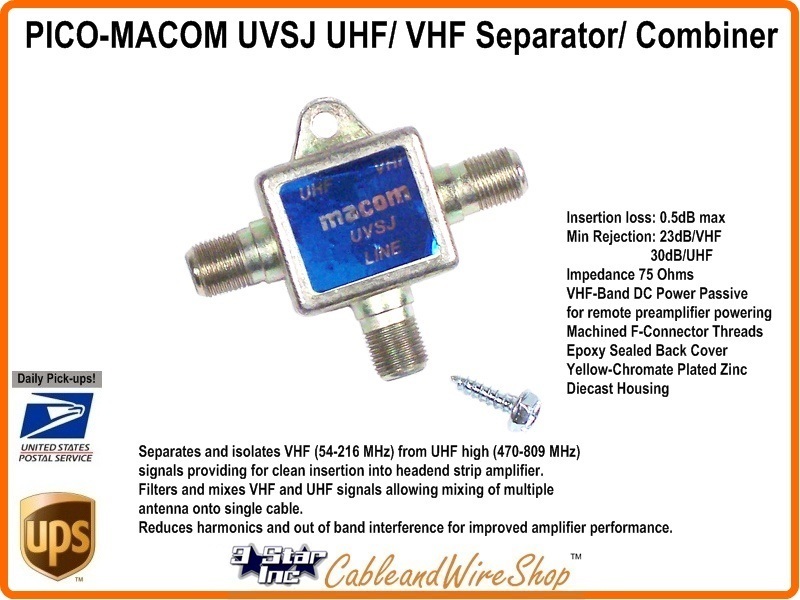 Separates and isolates VHF (54-216 MHz) from UHF high (470-809 MHz) signals providing for clean insertion into headend strip amplifier. Filters and mixes VHF and UHF signals allowing mixing of multiple antenna onto single cable. Reduces harmonics and out of band interference for improved amplifier performance.